The Hope- To provide a community for 7th-12th graders to connect, serve, have fun, learn about Jesus and talk openly about their lives, faith, doubts, and fears. The Plan- Society Youth meets every Sunday during our 10:30am Worship Gathering at 2711 B Street! we have a space for our students to connect. They will be in service for worship and released around 11am to go to their space to discuss their lesson and activity. (All of our adult volunteers have been background checked). They will have a fun game, a short devotional teaching from the scriptures and an opportunity to discuss and pray together. Youth will be brought back to our adult worship gathering as it is being dismissed. Society Youth is led by our Society Youth Director Maddie Mikulin and our awesome team of Youth Volunteers. She has a heart for serving 7th-12th graders and developing with our Youth how to be an living example of our loving God in Sacramento.  In addition to Sunday service times, Society Youth also meets monthly for a special event! Want to find out more about those special Youth Events? Follow us on social media or download our Society Church App! 7th – 12th graders, you’re invited to join us every Sunday at 10:30 am at 2711 B Street! See you there!